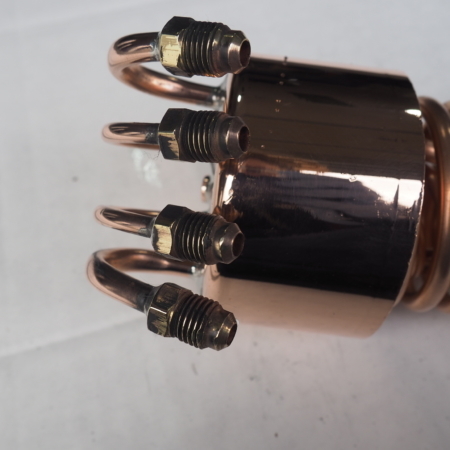 Copper Condenser coils in 2, 3 and 4 inch diameters. The condenser is the heart of the still. They vary in size but always have a double helix copper coil in the center, all vapors that form during the boiling of the wash condenses against the cooling coils and turns into a liquid. 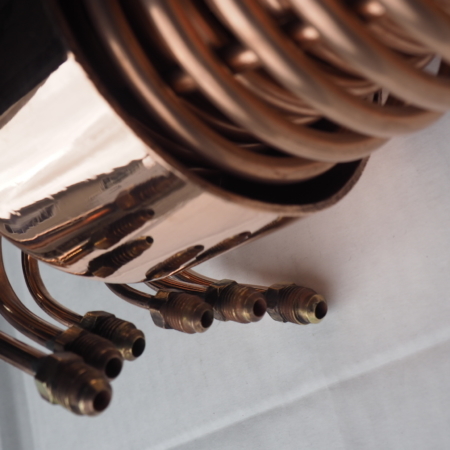 Each coil increases the surface area of water cooled copper to create more condensation. 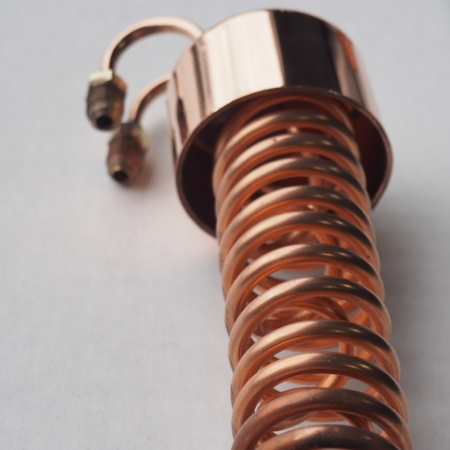 You might have noticed the reflux column the condenser, product cooler and even the column packing all constructed from copper. 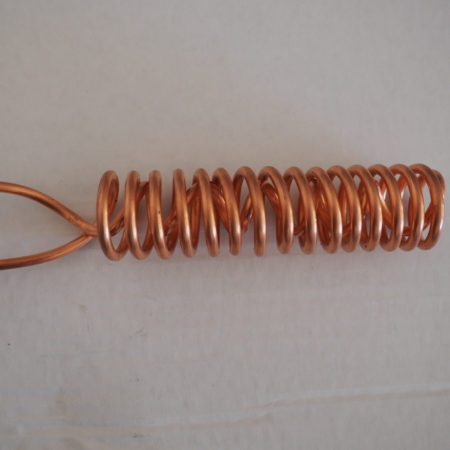 The main reason is copper acts as a catalytic to reduce some unwanted compounds like sulfur. This is the main reason copper is used in all big distilleries.